99 Challenges! 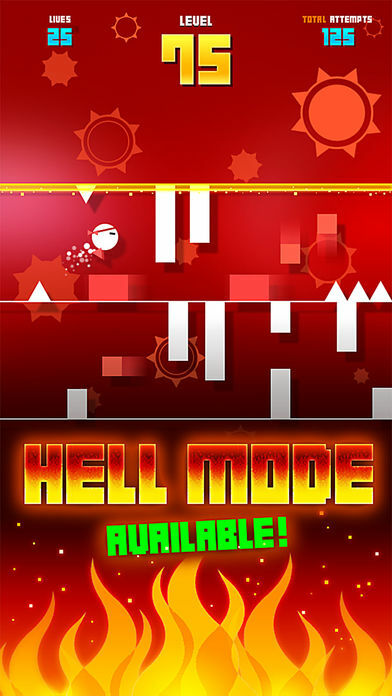 – Do you have what it takes to clear this game? Set on a 2-dimensional stage filled with simple, moderate, and some insanely complicated(!) 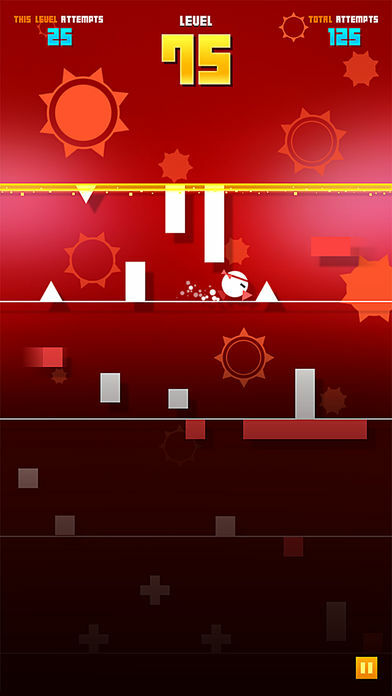 obstacles, your mission in this game is to use absolutely everything you can imagine (literally) in order to clear this monster of a game. Although 99 Challenges! 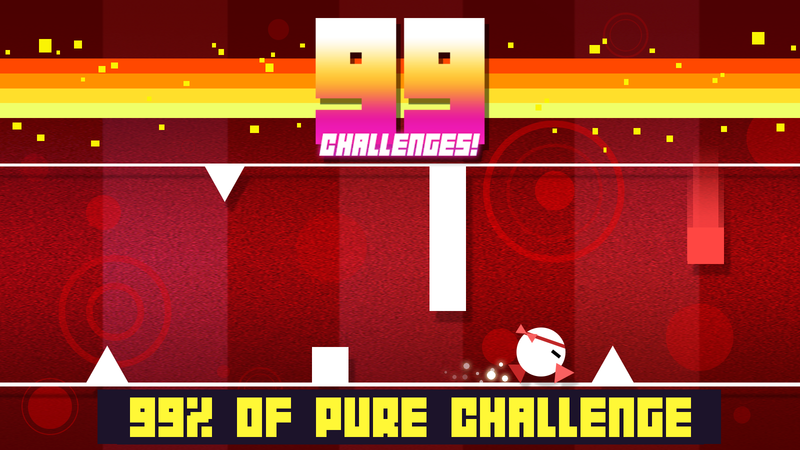 is far from easy, for anyone who has played and failed at any of the many mobile games branded “Impossibly Challenging” or “Annoyingly Addictive”, the gameplay in 99 Challenges! is probably going to be a little different to what you might imagine. Unlike most impossible mobile games 99 Challenges! is actually quite possible. 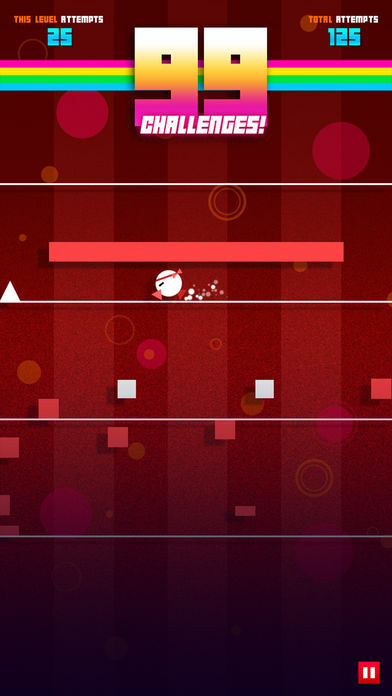 Since you are hit with the same level over and over again until you eventually manage to clear the stage, you are actually given the opportunity to stop and observe your surroundings for hints to clear whatever level you happen to be playing. One level we struggled with required us to jump at precise intervals which we discovered could actually be measured out using the striped background as a guide! You can use almost everything in this game to your advantage! 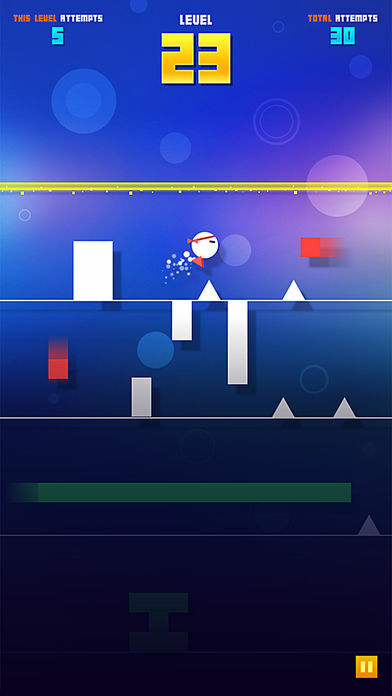 If you enjoy jumping over spikes, avoiding fast-moving obstacles, or stepping on switches implanted into the floor, 99 Challenges! 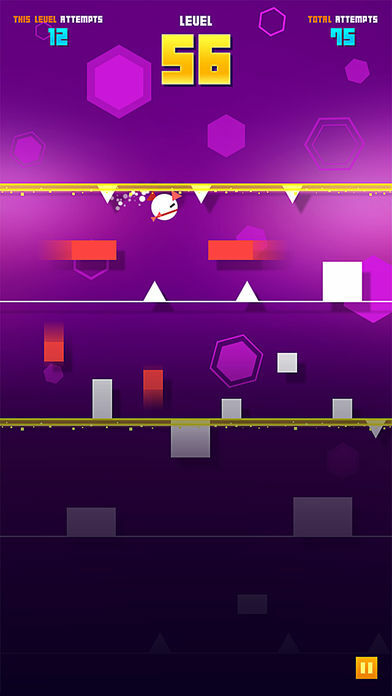 is a game you will likely really enjoy!